When Claire Kennedy started college, she thought she would have to give up her passion for Irish dancing. 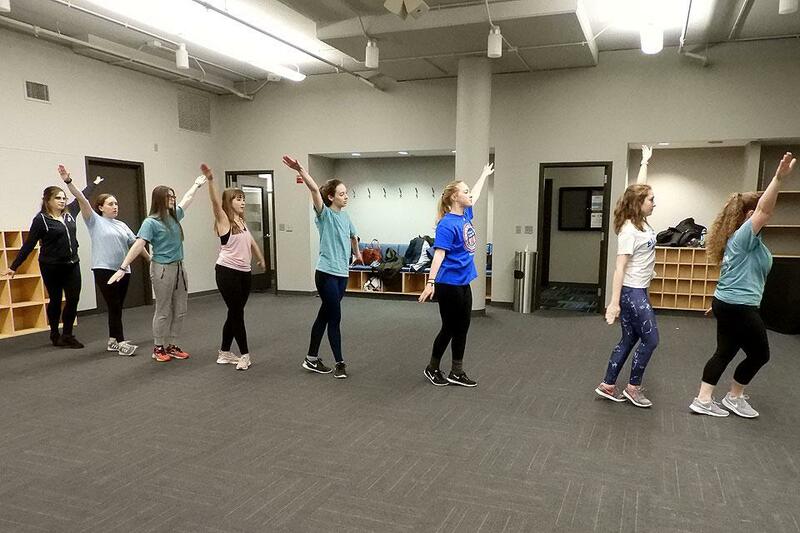 The sophomore psychology major found she was able continue dancing the lyrical smooth slip jig she loved as part of Elevation, a troupe dedicated to updating the Emerald Isle’s dances for today. 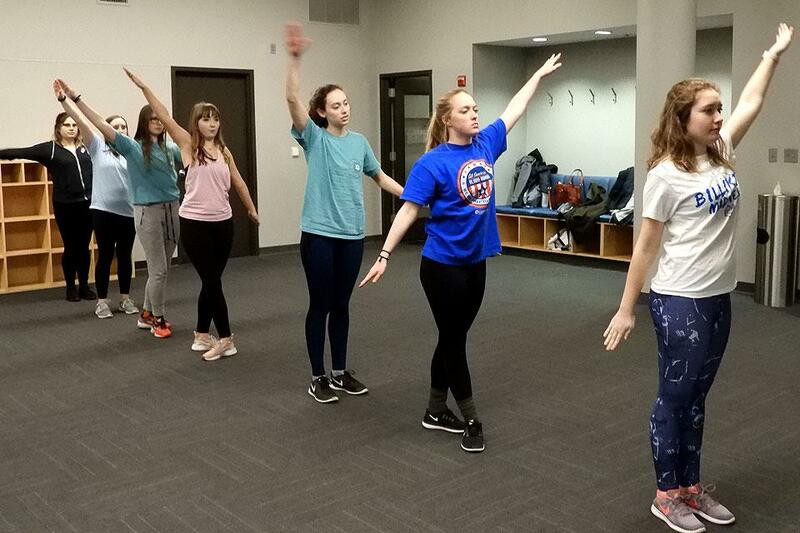 Elevation Irish Dance troupe members practice a routine. 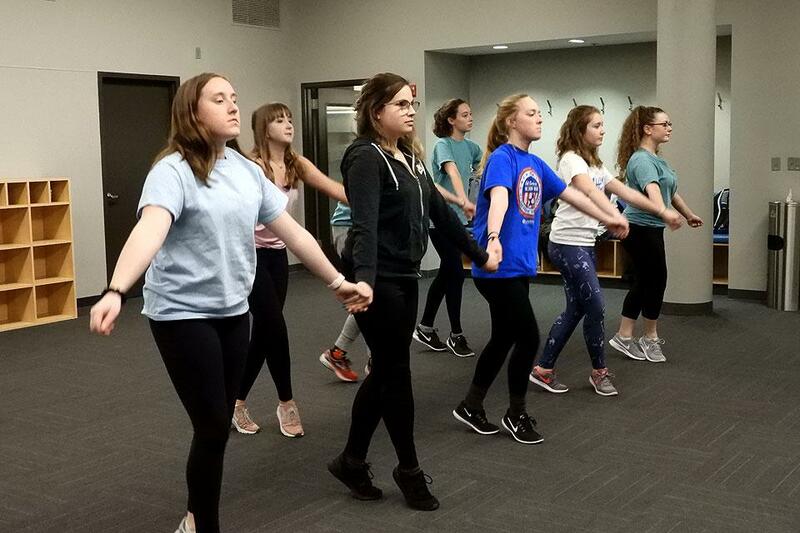 Elevation is the University’s Irish dance performance team and its 24 members compete in local and national competitions. 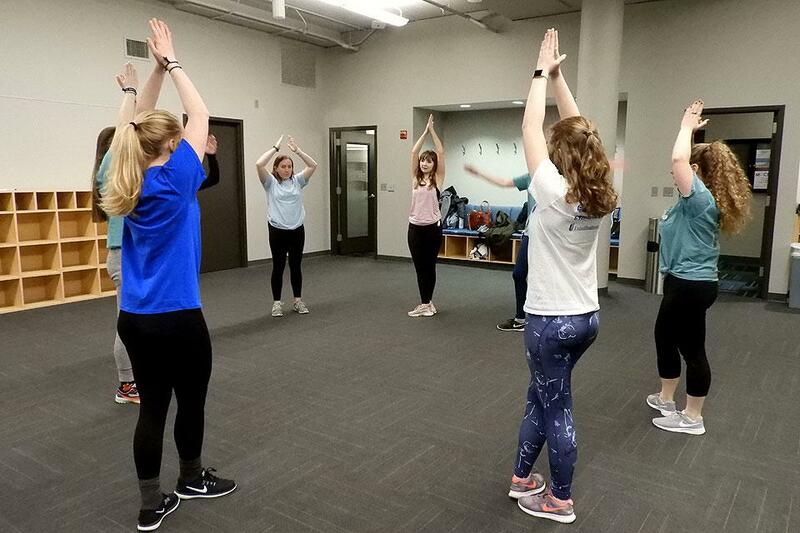 The group also takes part in campus dance events including benefit performances hosted by the SLU Dance Marathon that benefits Children’s Miracle Network hospitals and the campus’s Relay for Life chapter. 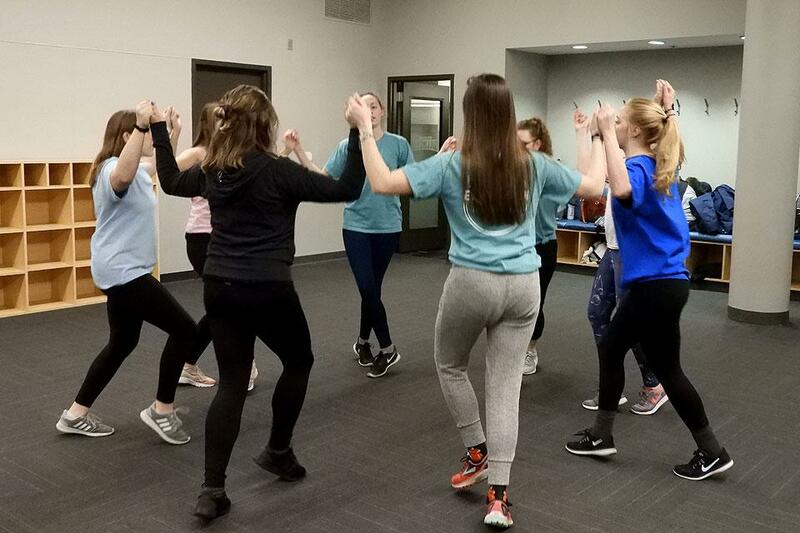 The troupe’s annual Showcase will be held at 8 p.m. on Thursday, March 28, in Xavier Hall, before Elevation’s members head off to Dayton, Ohio for an intercollegiate Irish dancing competition later this month. 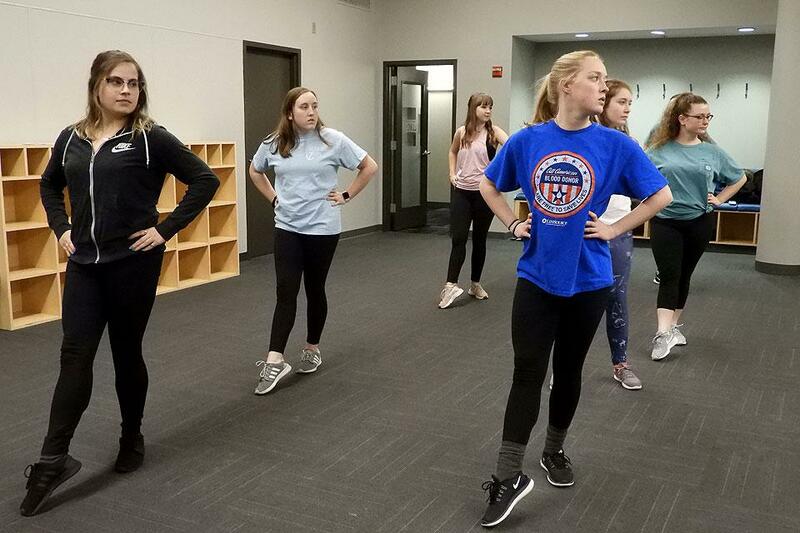 Elevation members have a range of dance experience but all said the ability to stay connected to their Irish heritage through jigs, hornpipes and reels has helped make their college experience more compelling. 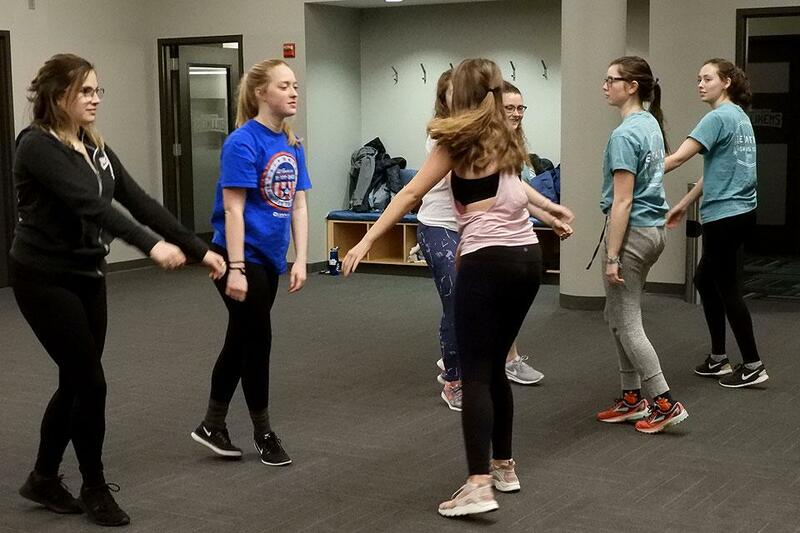 “Elevation offered me an outlet to continue doing what I loved in a way that was not overwhelming as a college student, junior Maggie Ruane, a long-time dancer who is double majoring in public health and Spanish, noted. Ruane’s grandparents were Irish immigrants and dancing was a way for her to stay connected to her family in Chicago. She is now Elevation’s vice president. Irish dance has always been, and always will be a part of my life, so I am glad that I have the opportunity to keep dancing in college." The group’s members all cited their strong affection for Irish culture as a reason for continuing to dance in college. When she was 3 years-old, Madeline Maloney was so enchanted by the steps she saw at a performance of Riverdance, that she tried to run onstage. Now, as junior studying psychology at Saint Louis University, Maloney is now the group’s choreographer. The troupe also fosters its members’ willingness to explore and to think creatively about tradition. Elevation stresses entertaining and mastering unique performances that put a modern spin on tradition. 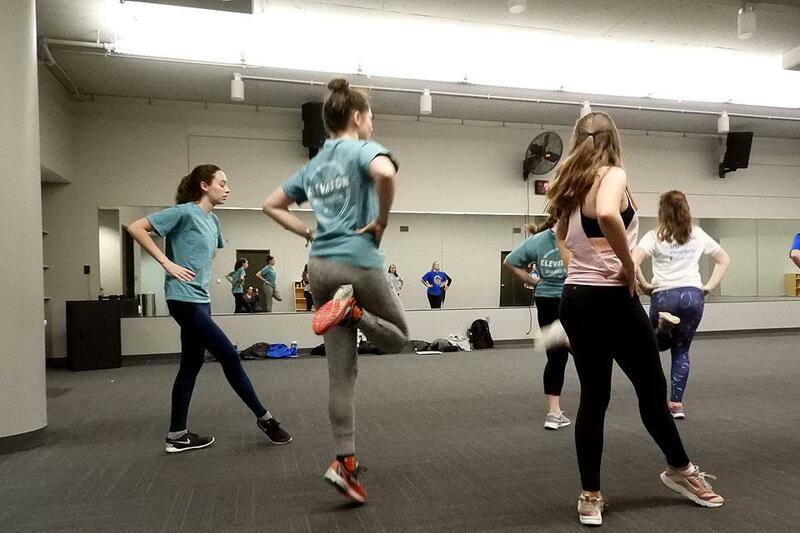 “We take the traditional aspect of Irish dance – the technique and choreography – and try to adapt it with contemporary music and movement,” Corcoran, an investigative and medical sciences major, explained. Some of the team’s numbers have include dancing to Macklemore’s “Downtown,” and choreographing time-honored steps to hip-hop and pop hits. 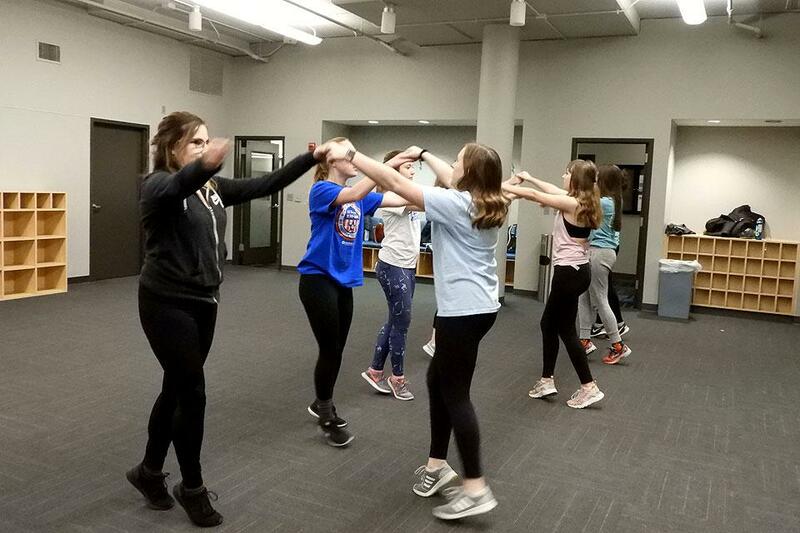 Dancing with the troupe has helped its members develop their leadership and team-building skills, its members said. To learn more or to join, get to know Elevation and its members. Want to Get Your Dance Moves On? Learn more about chances to dance at SLU. Saint Louis University is a Catholic, Jesuit institution that values academic excellence, life-changing research, compassionate health care, and a strong commitment to faith and service. Founded in 1818, the University fosters the intellectual and character development of more than 13,000 students on campuses in St. Louis and Madrid, Spain. Building on a legacy of nearly 200 years, Saint Louis University continues to move forward with an unwavering commitment to a higher purpose, a greater good. Story and photos by Amelia Flood, University Marketing and Communications. Video by Stephanie Mueller, University Marketing and Communications.